It’s Pride Month, y’all. But you probably already knew that. Especially if you’re L, G, B or T.
To our straight readers, perhaps it’s not as commonly known. Regardless, with Dallas Pride falling each year in September, we love traveling around the country to see what Pride is like in other cities. And why take a plane when a road trip will do? PRIDE San Antonio takes place this year the last weekend of June/first weekend of July. That may sound like a long festival, but it’s actually only two days (June 30 and July 1). Of course, you’ll need a great place to stay while you’re there. And, of course, we have some recommendations based on where we’ve stayed lately. No matter what your budget and whether you prefer to be right downtown or out in the hill country, we’ve got you covered. So when you’re ready to sleep around San Antonio, during Pride or otherwise, hit up these five properties and you’ll be snoozing in style. 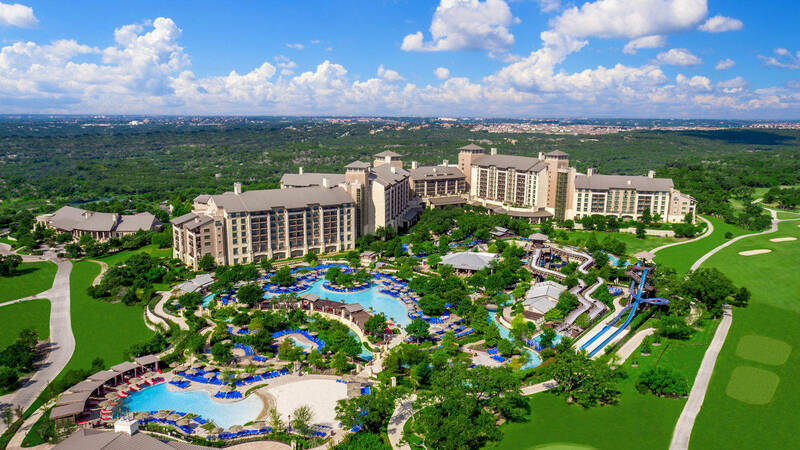 Nestled in the hill country of San Antonio, this massive resort has something for everyone, especially in the warmer months when all it takes to get a giant smile on our face is a day by the pool. (That and the drink in our hand.) The rooms here are super spacious and great views come with the territory. Multiple restaurants, golf courses, a water park (including adult pool) and a fab spa with a small-but-well-appointed men’s wet area make it difficult to ever leave the property. But always know you’re just a 30-minute Uber or Lyft ride from downtown and the LGBT nightlife scene. 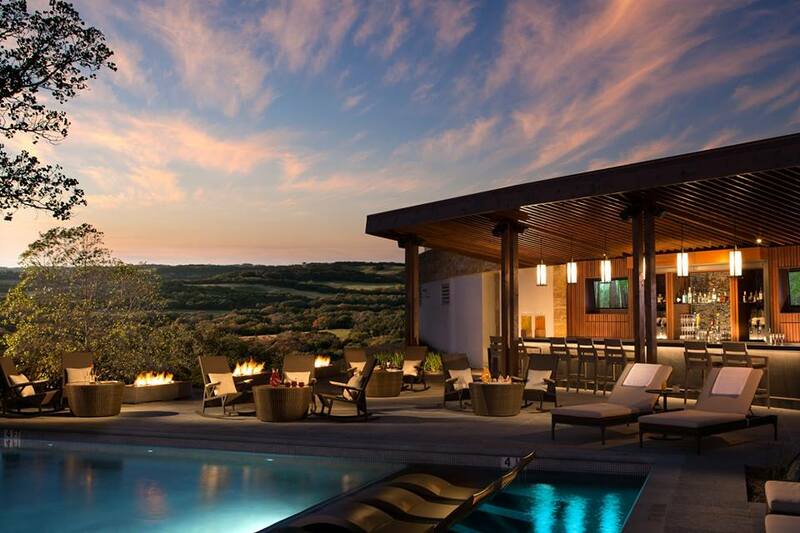 Another hill country property we love, this Texas-sized resort sprawls out in the shadow of Six Flags Fiesta Texas nearby for those seeking a little adrenaline rush. Or if you’re like us, relaxation can always find a slot on our agenda. A variety of room types each offer unique amenities aplenty, so you’ll always enjoy a comfortable stay. Five resort pools (including an adults-only, pictured), nine food & beverage outlets, and the gorgeous Loma de Vida Spa each beckon at just the right times. For those who love history (and a rooftop pool! 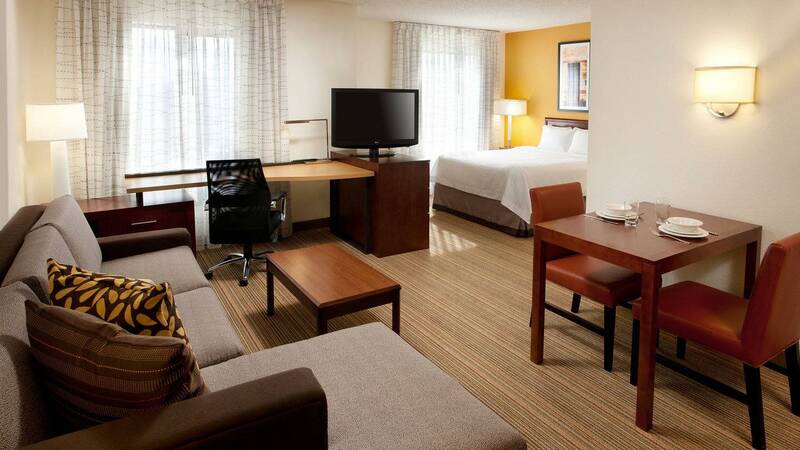 ), The St. Anthony harkens back to a bygone era while not forgetting a single modern amenity or convenience. 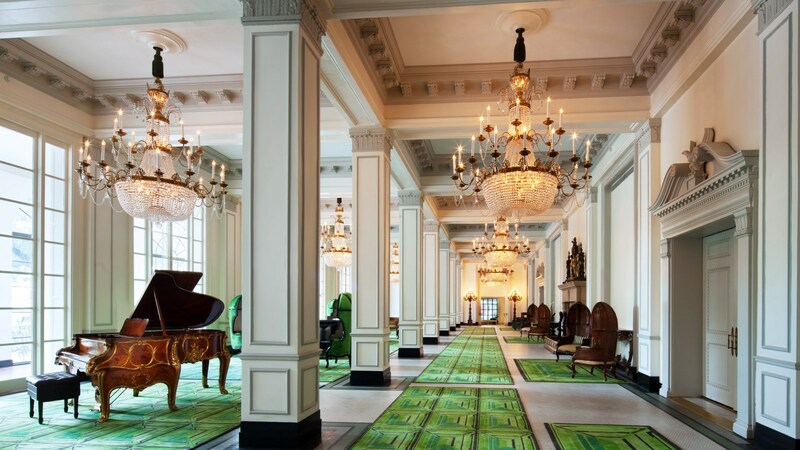 You’ll feel like a princess (because you’re always a queen) the moment you walk inside. The historic landmark has been renovated from top to bottom, including its guestrooms and to-die-for bathrooms, the extraordinary Rebelle and ghost-filled Haunt for your eating and drinking pleasures, and proximity to all downtown San Antonio has to offer—including the Riverwalk and that famous mission, the name of which totally escapes us right now. Last time we stayed here, we visited the spa seven times in two days. That’s because hotel guests can access the separate men’s and women’s wet areas with hot tub, sauna and steam room, even without booking a spa treatment (but trust us, you’ll want to). 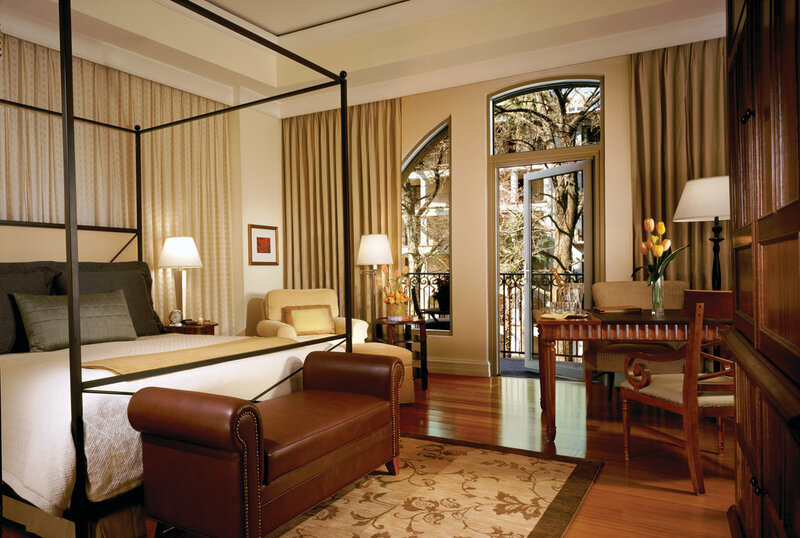 Spa rooms (pictured) feature private balconies overlooking the riverwalk, as well as an in-room Jacuzzi tub for two. And if you want a little sunshine, the small rooftop pool also makes a great escape. But we’re still a sucker for a hot tub and steam room. If you like spacious rooms without the fuss, this updated property has everything you need to practically live here, from a full kitchen to a relaxing living room in the suites. 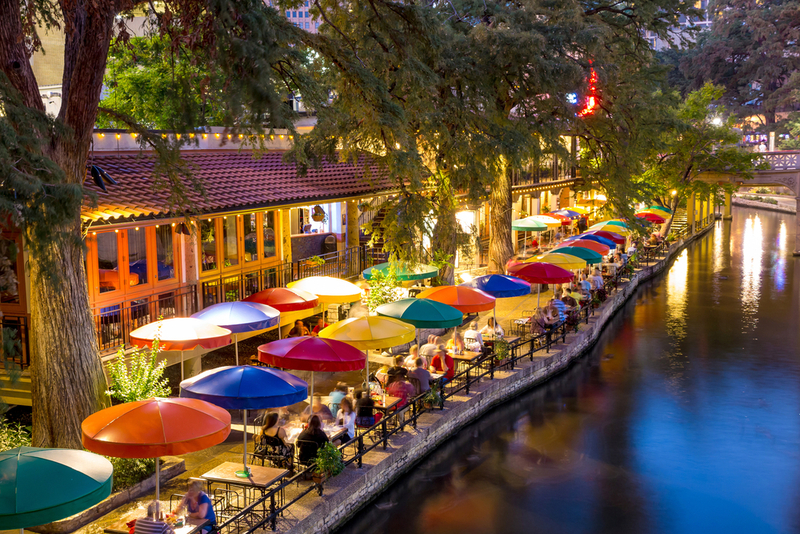 It’s steps from the Alamo, the famed riverwalk and right next door to Bonham Exchange, San Antonio’s largest LGBT club. And if you wake up in time after a night of dancing, they offer a free hot breakfast buffet. Hello, waffles!